This section stretches from the Erewash Canal at Lock Lane, Sandiacre for half a mile through Cockayne’s Bridge to Springfield Avenue. The Canal Path is clearly marked along this section and continues after Springfield Avenue in a preserved canal width footpath up to Bostocks Lane, although restoration of this section is not currently being pursued as a priority. The Derby Canal entered the junction with the Erewash Canal by going down through Sandiacre Bottom Lock which exited under Lock Lane bridge and into the junction. 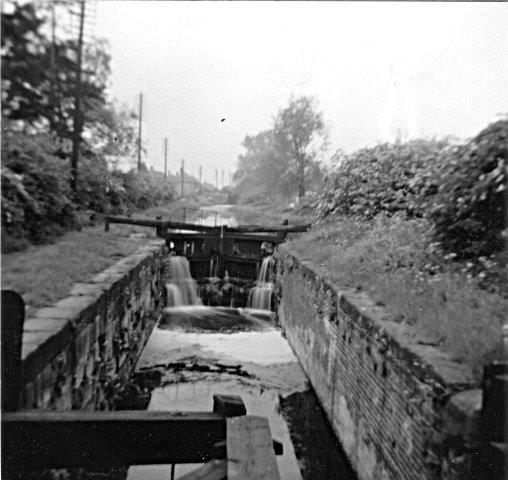 Sandiacre Bottom Lock like all other Derby Canal locks was a wide lock 72 ft long by 14ft wide and 14ft deep. Sandiacre top lock is buried approximately 100m further along the path where there is an obvious change in ground level. The towpath ran to the north of the canal and was the only available route to the Boat Inn, which was positioned between the locks. 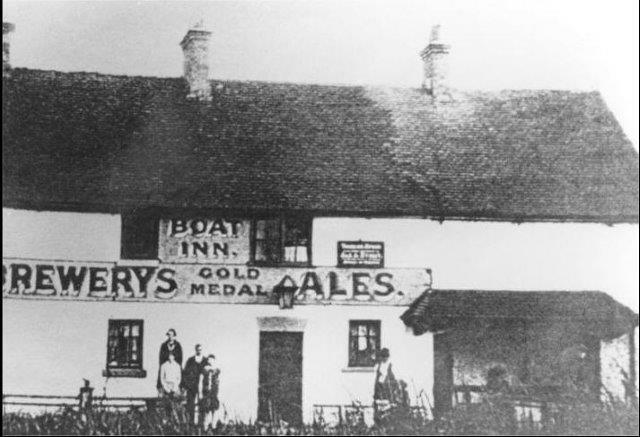 The Boat Inn, a beer house that was accessible only by boat or tow path was situated between the two locks on the north side of the canal. The Inn was originally a farmhouse, but was listed as licenced premises in 1845 with Benjamin Reason as landlord. Stories abound of the “extra money” made by boatmen pulling the carriages of the gentry from the canal after the gentry had missed the tow path after a session at the Inn. 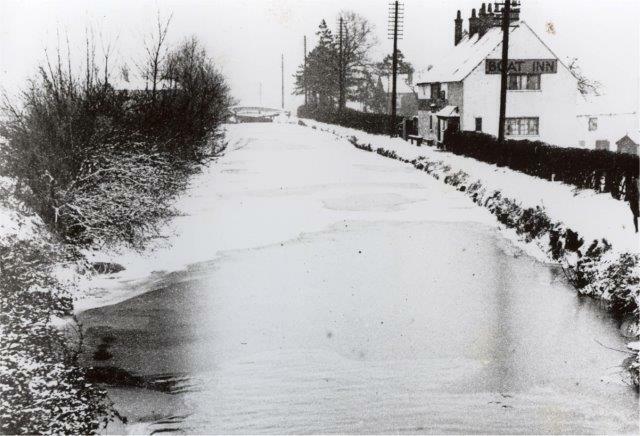 The licence was transferred to the newly built Bridge Inn on Longmoor Lane around 1934. 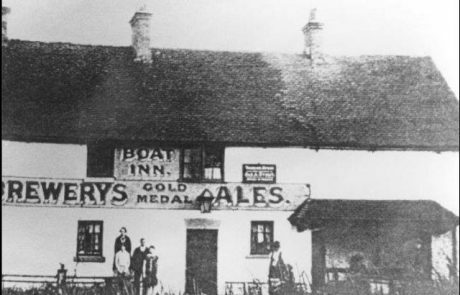 The Boat Inn was empty when it was destroyed by fire on 12th July 1940. The remains of the stone wall, door frame and boot scraper survive and can be seen hidden behind the hedgerow. Beyond the top lock the canal turned sharply to the left after going under Longmoor Lane through Cockayne’s Bridge. 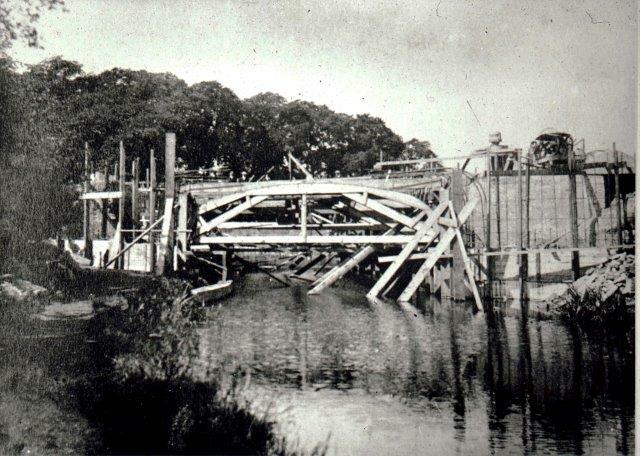 The bridge had been reconstructed early in the 1930’s in concrete to accommodate the improvement in the road. The canal line then crossed Springfield Avenue and continued along to Bostocks Lane, both of which were built across the now unnavigable canal. With the opening of the Derby canal Sandiacre lock cottage was extended with the addition of a toll office serving both the Erewash Canal Company and the Derby Canal Company. In 1832 the Derby Canal Company built its own toll office on the northern bank of the canal by the bridge. 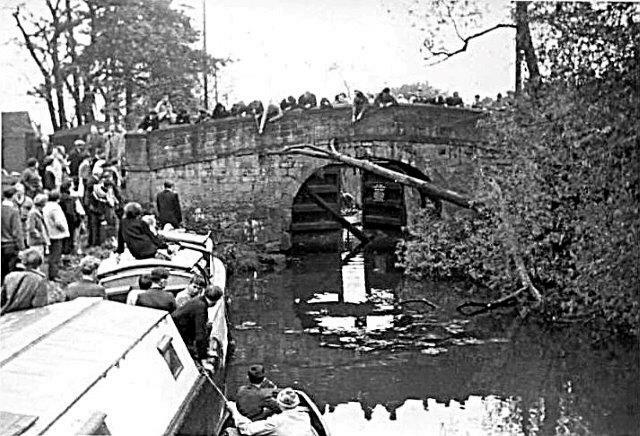 In 1964 an IWA Protest narrowboat attempted to travel up the canal to preserve navigation rights, but the owners prevented access by felling a tree across the entrance and chaining the gates shut. This subsequently allowed them to formally abandon the canal through lack of use. When the canal was abandoned this section of the route was gifted to the County Council, who used the lock chamber as a land fill site for mills demolished nearby in Long Eaton. Lock Lane bridge had the up stream parapet removed (now stored at Langley Mill Basin) to ease access to the footpath created on the line of the Canal and to Sandiacre Lock on the Erewash Canal. The bridge surface has also been reduced by almost a foot in depth as can be seen by the base parapet stones projecting from the bottom of the remaining parapet. Shuttering was erected to prevent water and infill moving between the Derby and Erewash Canals and concrete placed around it including in the bridge hole. Whilst this may have originally filled the hole it has now subsided and plays no part in supporting the bridge. Once the navigation was abandoned, Severn Trent used the route to lay sewers along the length, sometimes under the towpath and others in the canal line. The most difficult sewer at present has been cut through the downstream wing walls going from one side to the other. This will need to be moved up stream to pass under the canal line above the bottom lock chamber to allow passage by boats out of the lock. 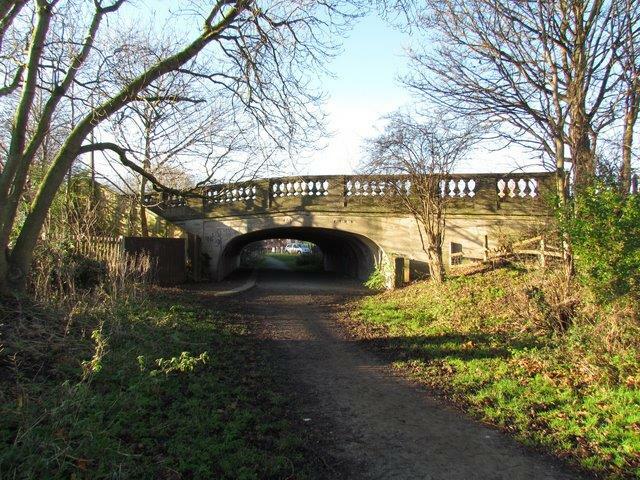 The canal line also carries piped water draining from Springfield Park into the Erewash. This may provide a source of water to help to refill the canal until full restoration allows water to be used from the Derby City Abstraction of water from the River Derwent. The Trust is working for the early restoration of this section of canal. 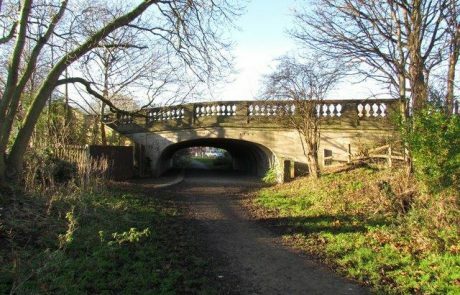 A £1.5m bid for lottery funding to restore 800m between Lock Lane and Springfield Avenue failed. Whilst we were commended for the quality of the bid we feel it was probably because we asked for too much without a pedigree of delivery. We are therefore taking Heritage Lottery Fund (HLF) advice and starting with a smaller project – the excavation of Sandiacre Bottom Lock – to enable us to prove ourselves. 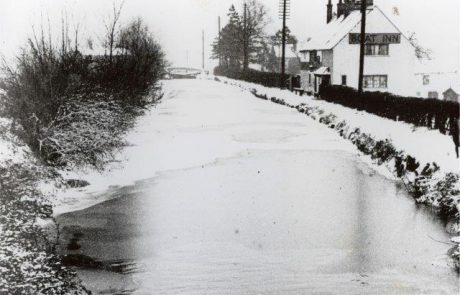 This would then lead to a larger bid at a later stage with a view to establishing a length of water available for cruising from the Erewash Canal junction up to Springfield Avenue. We would create a small basin on the west side of Cockayne’s Bridge allowing small boats to turn. Early in the life of the Trust WS Atkins undertook a detailed study to assess the overall viability and to look at possible levels of the water. In their report they suggested that Sandiacre Top Lock should not be restored. 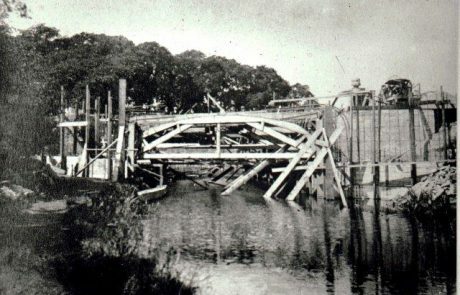 Instead the canal would continue at about 2m lower than the original level under Cockayne’s Bridge (although the bridge foundations might require work to accommodate this) and thereby passing under Springfield Avenue and Bostocks Lane in a culvert without adversely affecting the road heights. Work is now proceeding on the lock excavation, albeit slowly. As the lock was used as a land fill site the planning permission stated we’d need to sample the infill material. When we did that we found some traces of white asbestos (just over the safe level in two of fifteen samples). This has meant that the methods to be applied to prevent airborne asbestos dust and the consequent costs of excavation and disposal have increased significantly. After a lengthy discussions with the Borough Council we have now agreed the Method Statement and are in the process of obtaining revised quotations for the work. Obviously with the contents being classed as hazardous volunteer assistance will be severely restricted and we will need to pay for trained contractors. We are aware of the sewer pipe crossing the wing walls and believe that the installation also damaged/destroyed part of the lock chamber. Once the lock is emptied the Trust can properly assess the plan to repair the chamber and relocate the sewer to the north side of the lock chamber. If the sewer crosses the canal line above the lock it will be able to go under the canal. Once the chamber is clear we will aim to securely fence the chamber for safety, repair the walls and cill and we can then organise controlled access by the public to explore the heritage and history of the site. 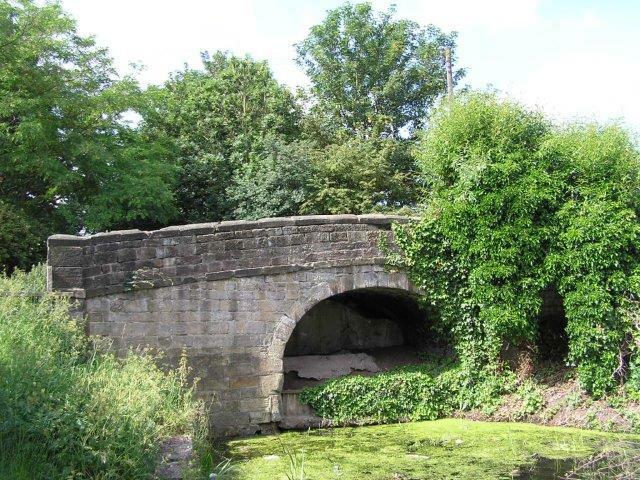 Funding for this work is expected to come from HLF and land fill grants together with a Rural Communities Grant from Erewash Borough Council. We have already produced a draft application for HLF working with an experienced consultant and will be able to submit it once costs are determined. The HLF involvement will include much more access to the public for the heritage lessons and we plan to involve local schools to allow them to understand the workings of a lock. It is hoped to complete the work in 2018.